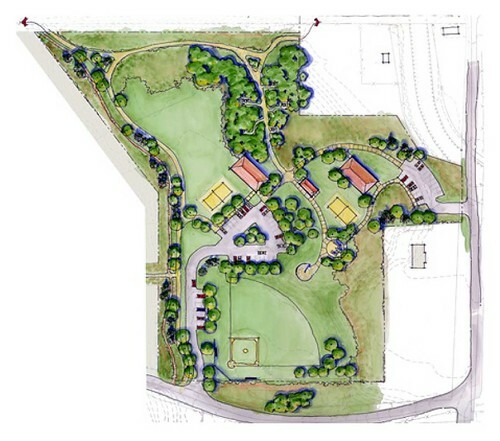 G Brown Design, Inc. provided master planning through construction observation services for the development of a community park in Highland, Utah. The master plan includes open fields for soccer and other field play, a baseball diamond, restrooms, and picnic pavilions with nearby sand volleyball and a playground. The park is in a ravine where the natural slopes can be used as sledding hills. Existing native vegetation was preserved as wildlife habitat. The trails in the park are connected to the regional Bonneville Shoreline trail system.